The wait is over for Michael Vick. He has been awaiting NFL Commissioner Roger Goodell’s decision on whether or not he will be reinstated. And yesterday, the call came in. 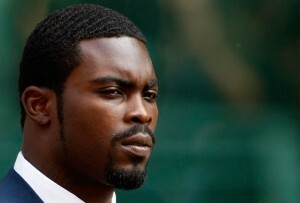 Goodell cleared Vick to participate in pre-season. However, it is still a partial re-instatemant, as Vick is suspended until Game 6 (and that isn’t an official date). This means that Vick can sign with a team, practice with a team, and play pre-season games, but he can’t set foot on the field until Week 6. So, the main question is, which team? The experts are tossing around ideas, and the two top choices seem to be the Dolphins or the Patriots. The Dolphins because they like to run the Wildcat offense, in which a running back or receiver lines up at quarterback, with the option to run. Vick would be perfect for this. The Patriots because they are a well-oiled machine. There would be no competition at quarterback (Tom Brady is their man), thus ensuring from the get-go that Vick behave and not challenge the coach. The Patriots would use him sparingly and on trick plays, and putting Vick on the field would thoroughly confuse the defense. Plus, the Patriots have a reputation for giving veterans a second chance (i.e. Fred Taylor, Corey Dillon, Junior Seau). We will see which team he chooses. In the NBA, Miami Heat is currently in Los Angeles courting Lamar Odom. Odom has said he didn’t know where he would play next season, and Wade is trying to convince him that Miami is the place. Odom has also made it publicly known in his career that he likes playing in warm weather, and by the beach. That pretty much only means the Lakers, Clippers, or Heat. (The 3 teams he has played for so far). If the Heat get Odom, it would give him another scoring option to take the pressure of Wade. Elsewhere in the NBA, it looks like the Charlotte Bobcats and New Orleans Hornets are about to make an even swap. The Bobcats would send center Emeka Okafor, the former UCONN superstar, to New Orleans in exchange for Tyson Chandler. Both of these guys are having slightly above average careers, and this trade is a gamble for both teams, as either guy could become a break-out star. Well, strong role player is more like it, but either way, both of these clubs needed to shake things up.